Halloween Bulletin Boards Preschool: Special Prices. Halloween Store. Incredible selection of Halloween Costumes, Halloween Decorations and more! Bring the holidays back into the classroom with this compact bulletin board set that includes six major holidays: Valentine's Day, Easter, St. Patrick's Day, Halloween, Thanksgiving, and Christmas! 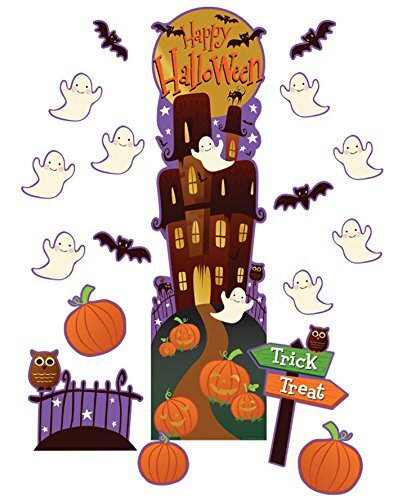 Including smiling ghosts, pumpkins, bats, an owl on a fence, and a sign that points towards a haunted mansion, the decorations in this classroom door décor kit are perfect for those darker days in late October! Printed on heavy-duty card stock, this kit can be re-used year after year to help foster a positive learning environment and to welcome students into your classroom or school. 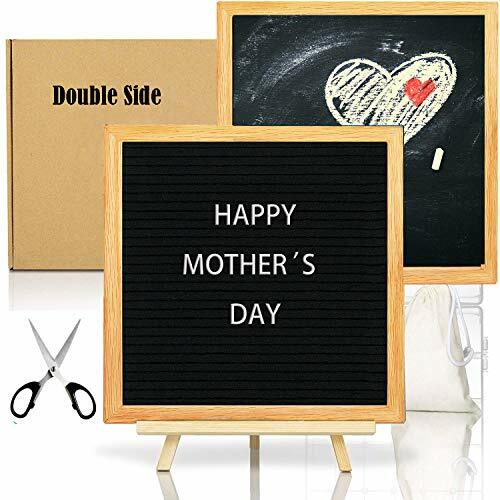 Package includes (24) paper cut outs, (5) assorted decorative pieces, and (1) Die Cut 45" Foil Banner that also makes a perfect centerpiece for your classroom bulletin board. 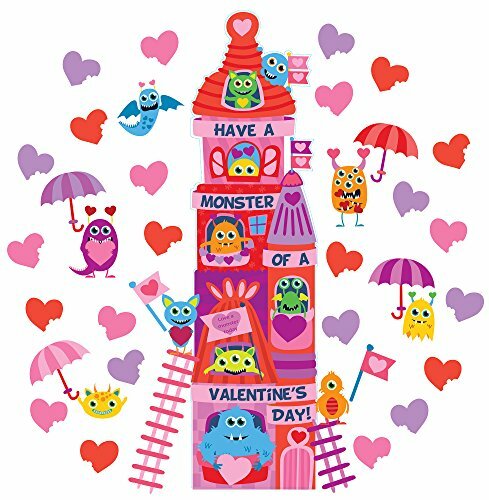 Full of hearts, fun characters, and a teetering tower, our Valentine's Day All-In-One Door Décor Kit is sure to put a smile on your students' faces! Printed on heavy-duty card stock, this kit can be re-used year after year to help foster a positive learning environment and to welcome students into your classroom or school. 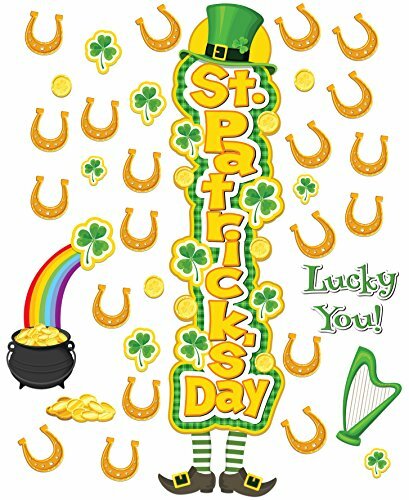 Package includes (24) paper cut outs, (19) assorted decorative pieces, and (1) Die Cut 45" Foil Banner that also makes a perfect centerpiece for your classroom bulletin board. 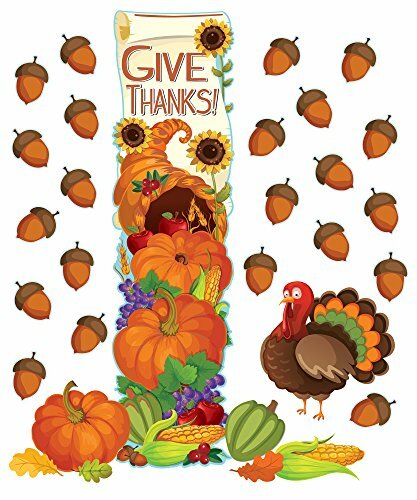 Including acorns, pumpkins, corn on the cob, a cornucopia, and of course, a turkey, this kit includes all of the best symbols of everyone's favorite fall holiday! 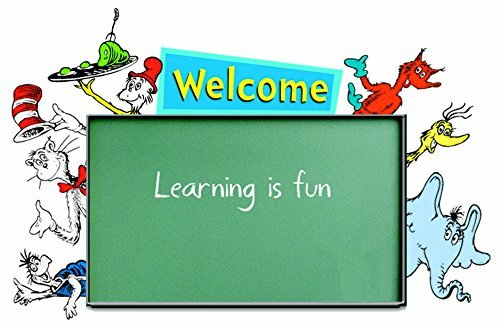 Printed on heavy-duty card stock, this kit can be re-used year after year to help foster a positive learning environment and to welcome students into your classroom or school. 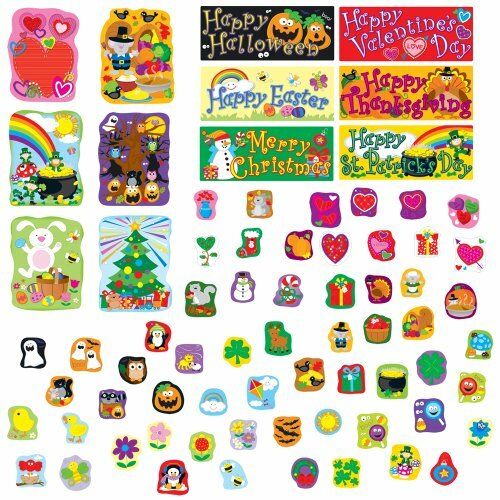 Package includes (24) paper cut outs, (7) assorted decorative pieces, and (1) Die Cut 45" Foil Banner that also makes a perfect centerpiece for your classroom bulletin board. Patterns, Grades PK - 5: A collection of Carson-Dellosa’s best patterns! These patterns are ready to go with unlimited uses! 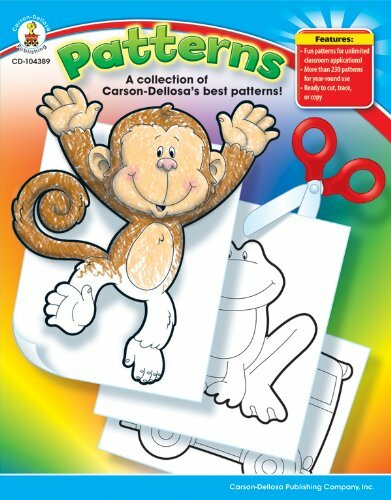 Patterns: A Collection of Carson-Dellosa's Best Patterns can be used in grades PK–5 to enhance bulletin boards, display student work, retell stories, increase print awareness, create lacing cards, and practice patterns. This 480-page book includes more than 230 patterns from the most popular Carson-Dellosa products and includes 18 themes for celebrating birthdays, favorite pets, and student accomplishments or just for making content-area learning a little more fun. Halloween Bulletin Board Ideas... Very Spooky !